Everyday makeup and bridal makeup are poles apart. Pre- and post-wedding rituals demand the bride-to-be to look dolled up. No bride has ever dared to say this - “I will remain my natural self without makeup.” But when it comes to choosing the best makeup artists, they’re usually in a fix. But worry-not lovelies, we have gone through all that effort to compile a list of top 10 makeup artists in Delhi just for you. Have a look. With over a decade of experience, we have Chandni Singh right on top of our list of makeup artists in Delhi. She’s a self-taught makeup artist who excels in her cosmetic artistry and hair styling skills. Her makeup style solely focuses on the eyes, making a bride look her radiant best. As an owner of a bridal makeup academy, this fine artist believes that the use of right products to highlight a face cut is more than enough to enhance one’s beauty. Therefore, she uses branded products like Chanel, Dior, Lancome and MAC. Who doesn’t like a princess treatment? Kanikka Tandon is one such makeup artist in Delhi who knows exactly how to treat her clients who come to avail her services. Sticking to her six appointments per day rule, Kanikka offers personalised services to each client lined up for the day. Her elaborate and sophisticated makeup looks are something to die for. When you visit her luxurious studio lounge, be prepared to feel pampered to the core. Not all makeup artists in Delhi offer such a lavish treatment to their clients. Book your slot with Kanikka today. If creativity is your core requirement, then Supriti Batra is the one you’re looking for. 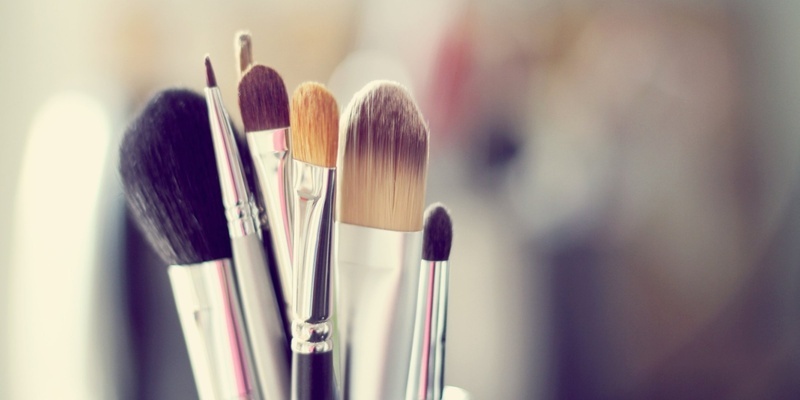 Using her makeup brushes as magic wands, this lady has been creating stunning and breathtakingly beautiful looks for many celebrities and renowned personalities. Her ideology is to not simply brush on cosmetics to hide your flaws but to enhance your beauty with the right use of products that suit your skin. Her driving force is her obsession for makeup and a desire to create new looks. Globally trained and recipient of numerous awards in the hair and makeup categories, Aashmeen Munjaal is your go-to person for all your wedding functions. Known as the ‘Queen of Makeovers’, she has beautified the looks of celebrities like Jacqueline Fernandes, Frieda Pinto, Soha Ali Khan and many more. For over 13 years, she has been ruling this industry. Book your slot today for a fresh bridal look. One of the most preferred bridal makeup artists in Delhi, Avantika Kapur is a freelance artist taking up bridal assignments all over Delhi & NCR. The fact that every face has some unique features and how she can best enhance those features is what challenges her to deliver the best. She very well uses her makeup techniques learnt at AOFM, London, to offer fresh, modern and contemporary ideas. If you would like to meet the glam version of you, we’d suggest you hire Avantika Kapur. Bravely quitting her lawyer practice ten years ago, Parul Garg has had quite an interesting journey getting on to the top preference of the best makeup artists in Delhi. What started as a curiosity in childhood; turned into a full time profession for her. Professionally trained by Anu Kaushik and internationally acclaimed Liz Gruszka, Parul today is an owner of two studios in Gurgaon. Excellent at creating all kinds of stunning looks, bridal and occasion makeup remain her forte. Compiling a list of top 10 makeup artists in Delhi and not mentioning Bharti Taneja is close to committing a heinous crime. Pioneer of Gold Facial in India, Bharti Taneja is famously known as the ‘Golden Lady of India’. ALPS by Bharti is her chain of beauty clinics that offers the latest in cosmetic and beauty care. Having your makeup done by artists Bharti Taneja, you can be rest assured that you will look gorgeous on your big day. One of Delhi’s top bridal makeup artists, Meenakshi Dutt knows her way to work with colour coordination that brings out the true beauty of a bride. She focuses on the complete picture, including hairstyle, cosmetics and accessories to make brides stand out from the crowd. Meenakshi Dutt is also known for her incredible sense of style and bridal makeovers in India as well as abroad. Her transition from a former professional model to the most talented makeup artist today has won her a lot of appreciations and accolades. Ambika Pillai is no longer a name; it’s a “brand” you can get associated with. A well-known personality in the hair and beauty industry, she owns six salons in Delhi, which handle close to 300 clients on a daily basis. Ambika also has her line of products that have been created to compliment Indian skin tones. When you hire Ambika for your make-up, the transformation will leave you spellbound. An international makeup artist and hairstylist on the block has managed to squeeze into our top makeup artists in Delhi listing. We’re talking about Ricky Seth, a highly creative artist who has managed to take the cosmetic industry by storm. If a blend of international and national styles is what you want to achieve in your look, she is your go-to person. We hope this list helped you find your match. If not, browse through some of their work on our website for inspiration and ideas.